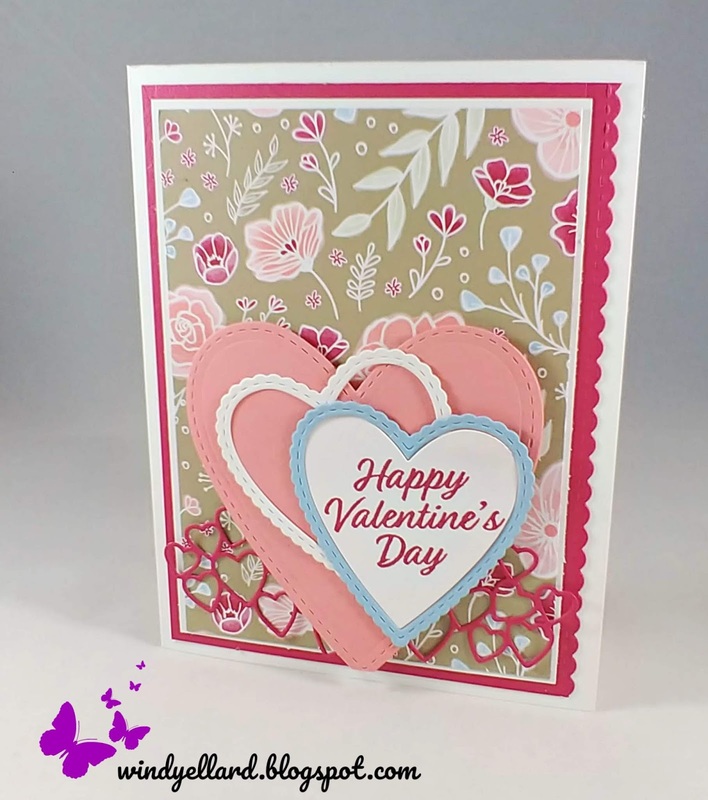 Windy's Wonderful Creations: Happy Valentine's Day! This is my Valentine's Day card for my classes next week. edgelit die from the Be Mine Stitched thinlits dies. All My Love DSP for the background. 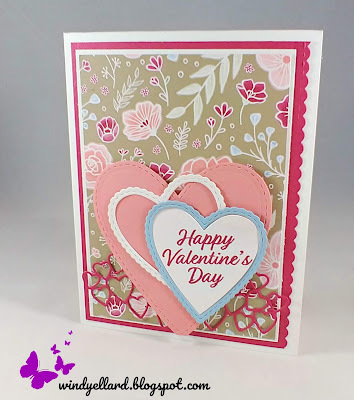 with a sentiment from Meant To Be stamp set.